iPECS UCP is Ericsson-LG Enterprise’s unified communications platform designed to meet SMB and Enterprise communications needs. 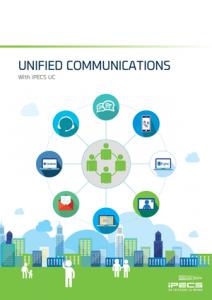 iPECS UCP is a ground-breaking innovative platform that provides out of the box UC and Mobility solutions. iPECS UCP helps you to make the most of the latest network technologies, such as SIP, optimise call costs using WiFi or use in-built voice conferencing to save on exter- nal conference services. Aligns you with the latest in IP, SIP-based,industry-standard technology. An open SOA design that makes it easy to scale and add new applications on-demand, such as web collaboration and video-conferencing.